FC Barcelona meet Celta de Vigo at the Balaídos stadium this Sunday (8.45pm CET), and it is a ground which various members of the current first team know well. 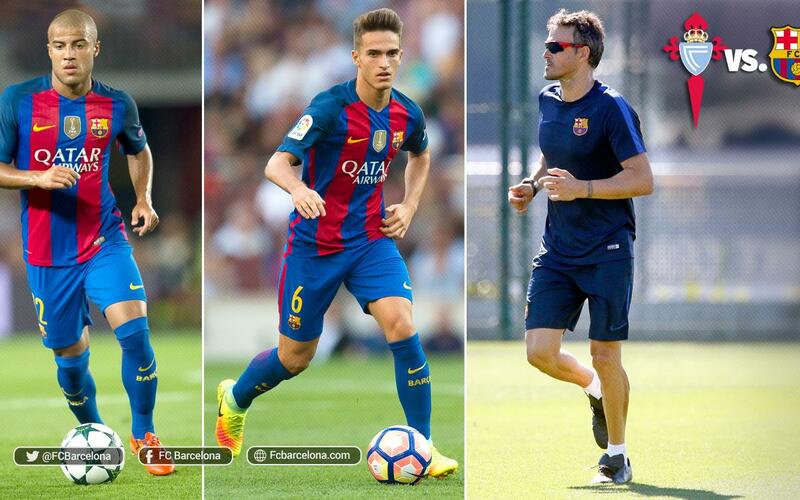 Denis Suárez played in the youth teams, even though he never managed to make a first team appearance. The Galician was born a mere 27 kilometres away form Celta's stadium and has always supported the Sky Blues. He left the club in a time of economic difficulties and is considered one of the best players to come out of their academy. Suárez has spoken to Barça TV about the importance of the occasion for him stating that “it will be a special game, all of my family will be watching”. Luis Enrique is also connected to the Galician club as he managed them during the 2013/14 season. Although he was only there for a year the team finished an impressive ninth in La Liga. The mid-table finish was particularly welcome having avoided relegation on the last day of the season the year before. During that season, a current member of the squad spent the campaign on loan at Celta. Rafinha was a key player in Lucho's Celta team and he played 34 games scoring four goals and providing seven assists. The Brazilian followed in the footsteps of his father, Mazinho, who played for Celta 126 times over four seasons. These three men will experience an emotional night at the place they used to call home. This feeling isn't limited to Barça though as Celta have three players who played at La Masia. Even though Nolito left for Manchester City, the team from Vigo can still count on Andreu Fontàs, Sergi Gómez and Carles Planas.